We are highly acclaimed in this industry for providing an optimum quality range of Glass Reinforced Concrete Screen. GRC is used worldwide to manufacture a vast range of precast products for the building and civil engineering industries. 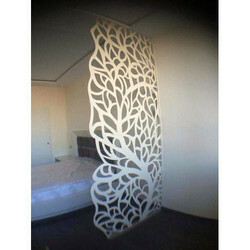 We are one of the leading manufacturer of GRC White Jali. Manufactured from premium-grade raw material, this Designer GRC Jali ideal for external decorations. 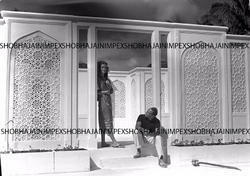 We are offering GRC Jali Screen to our client. GFRC Jaali offered by us enhance the beauty of home decor. We manufacture these Jaalies from premium quality GFRC Jaali to assure our customers about superb quality and high durability.